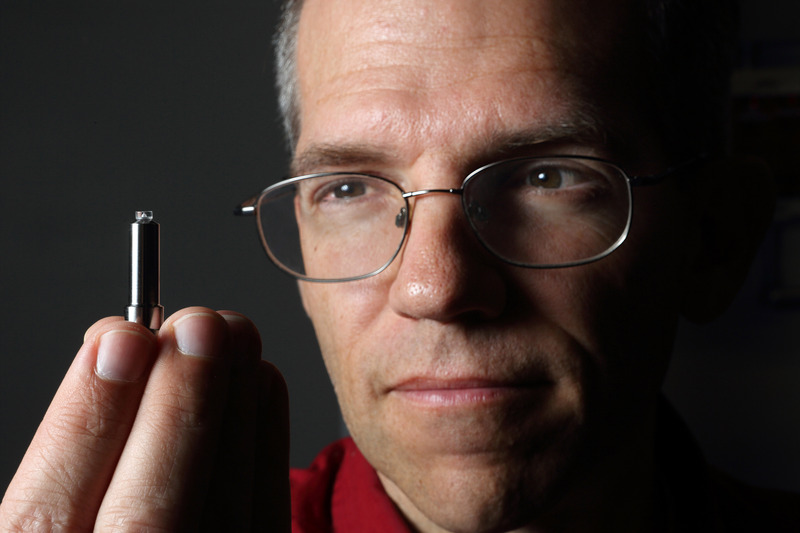 LIVERMORE, Calif. – Sandia National Laboratories has formed an industry-funded Spray Combustion Consortium to better understand fuel injection by developing modeling tools. Control of fuel sprays is key to the development of clean, affordable fuel-efficient engines. 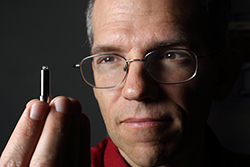 Sandia National Laboratories researcher Lyle Pickett, who serves as Sandia’s lead for the consortium, examines a fuel injector with the nozzle modified for optical access. (Photo by Dino Vournas) Click on the thumbnail for a high-resolution image.